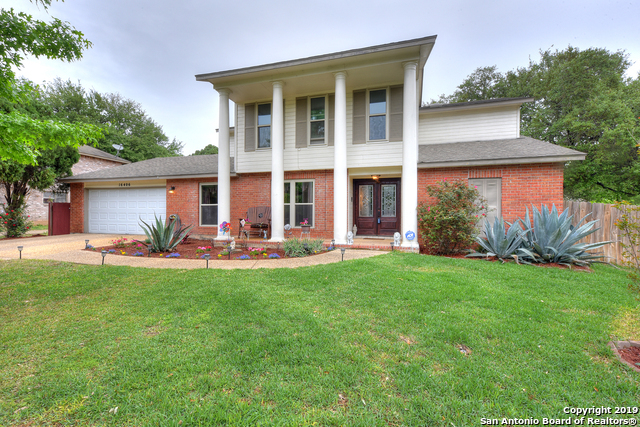 All REDLAND OAKS homes currently listed for sale in San Antonio as of 04/26/2019 are shown below. You can change the search criteria at any time by pressing the 'Change Search' button below. "OPEN HOUSE 4-27 1-5PM. BEAUTIFULLY REMOD. 3042 SQFT PER APPRAISAL-ONE OF-A-KIND, LG 4/2.5BTH, DETACHED GARAGE INCLUDES, 2ND STORY APT. FULLY EQUIPPED WITH KITCHEN AND A FULL BATH ADDITIONAL 450 + SFT. HOME FEATURES BEAUTIFUL 40FT WHITE BALCONY ACROSS FRT, 2 LIVING/LAMINATE FLOORS DOWN. NEW KITCHEN. NICELY LANDSCAPE BACK YD SHED 16X16. NEW AC SEPARATE ZONING. 2 BLKS FROM SCHOOLS, 3MIN FROM 1604 NEAR NEW HEB AND MINUTES AWAY FROM ALL THE RESTAURANTS AND MED CLINICS. CLOSE TO ALL AMENITIES.! MUST "
"Prime location, 1 min from Redland Oaks Elementary School. Cul-de-sac lot offers amazing curb appeal and the prettiest oak tree ever! 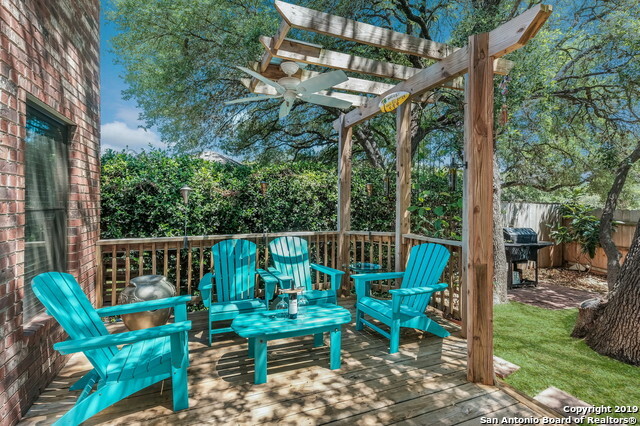 Back deck is private and draws you out to the yard to enjoy the outdoors! Interior has great flow and easy for entertaining! Large dining room and the master bedroom is also very spacious! Granite counters in kitchen, new windows, roof is 5 years old. Don't forget hidden shop in garage! Easy access to airport and downtown! Good ones go fast! Job transfer forces t"